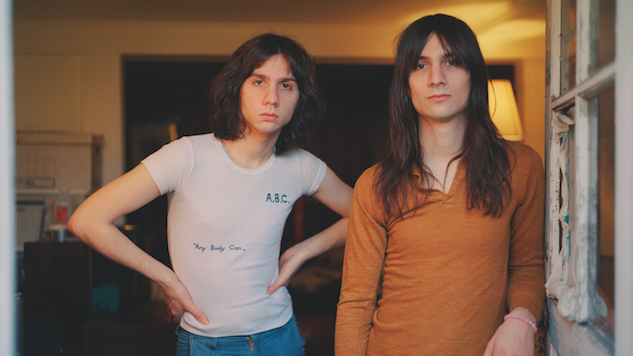 Listen to The Lemon Twigs' Jangly New Single, "Small Victories"
Brothers Brian and Michael D’Addario, better known as The Lemon Twigs, are releasing their sophomore album on Aug. 24. The much-anticipated follow-up to their 2016 debut LP Do Hollywood, Go To School is a 15-track epic about Shane, a monkey who goes to school, according to the band. While we await the forthcoming primate-inspired rock album, there’s a new single to swing to: a sunny, psych-neighboring tune called “Small Victories.” Celebrate the small stuff and give it a listen below. When life’s obstacles start to wear you down, it’s the little things that keep you going. Bowling a perfect game, catching a glass before it falls to the ground, making the train in the nick of time. While there are no guarantees, we can always count on the Small Victories. There’s another single from Go To School already out, “If You Give Enough,” which you can listen to here (where you’ll also find the album’s tracklist and art). They released two standalone singles earlier this year, as well. Go here for those.